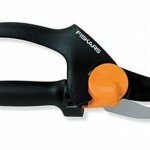 Fiskars pruners are very well known in the world of gardeners for their quality and durability. 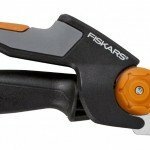 We review the top 5 Fiskars hand pruners here in random order. The average rating can be used as a guide of the quality, but we found out that this is not always the case. A lower rating does not always automatic mean a lesser quality. 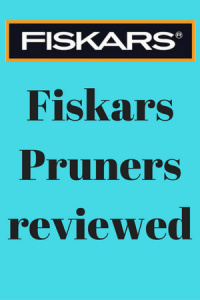 Read our reviews and our opinion to see what fiskar pruner will do the job for you and your garden. This Friskars 9921 softouch is great for the smaller work. Do not try to cut thick stems with them, but use them for flowers and rose bushes. The softouch is very liked by people who have some kind of problem with their hands like carpel tunnel syndrome. the cut real light and stay sharp for ever. Great for people with smaller hands. Keep them covered if you don’t use them, because you can cut yourself. Highly recommended and for this price if they even last 1 season it is still a good deal!! Not to easy to use for left handed people I read in a comment, but worked great for someone with arthritis in his hands. Recommended by the arthritis foundation according to the manufacturer and I read many comments about the ease of use for people with hand problems. The hardened steel blade can be replaced and I think that is a plus. Sometimes and of the season we put it up to find it rusted next year. With an replaceable blade you don’t have to buy a new pruner. It has a 3/4″ cut and this is big enough for use in a normal situation. Remember this is a hand pruner and not to use on thick tree branches. “Have had these shears for several years now, blades are anodized black w/~1/8” of ‘sharpening’ area on top blade that is easily sharpened w/crosscut rat tail file! Handles are wrapped in foam rubber for comfort! Takes smaller bites for smaller branches but when sharp, cut cleanly! 4.2 stars is pretty good rating and this in combination with being the number one seller makes this to a good deal. It comes with a descent price tag and delivers quality for that. The little groves in the blades seen to prevent gum and sap from sticking to the blades and makes it easier to clean. Advice is not to go much higher then 1/2 inch because it needs more power then. Read comments that they are also easy to use for left handed people. the lock on the handle got some comments of not holding up to great and sometimes even fall apart after a while. 4.5 stars should say enough, but i like to look a little further then ratings. 1 inch cuttings most be possible but I recommend not to go so far to keep it working properly. although someone mentioned he cut up to 1.5 inches with no problem. The ergonomic of the handle is mentioned a lot of times as a big plus. Use a little oil after using them to prevent sticking of the blades and keep them dry to prevent rusting, but that goes for about all pruners. Several times I read about the sharpenes and to be careful with your fingers. It is my opinion that this is one of the better Friskars pruners and I can recommend them as a good buy. “Positives: I’ve never seen shears with this sort of twisting handle before, but it seems to really work. 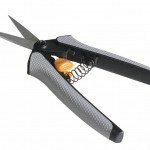 It does reduce fatigue and lets you snip larger stems with less effort. A great design. 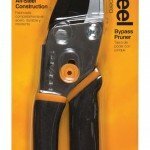 Fiskars PowerGear softgrip pruner 377363-1002 is the full name. The gear on the Fiskar powergear seems to be made of plastic and with a lot of force while cutting they sometimes slip and lock the shears. It get some mixed attention in all the ratings. some people think they are great and others are not impressed.I think ratchet pruners will do a better job in this way. don’t expect the same power as a ratchet pruner. The handle that can be turned get a lot of positive feedback and people like that option. Some people mentioned that they received them not sharp and had to sharp them first. Could not find out if this was in a certain period, but it seems to me this was not a standard complaint. Overall, like any other pruner, if you use it the way you should I think this will work good.